Autumn can be a hectic time for dads and moms with work schedules, school back in session, activities kids are involved in and other family obligations. So finding the time to put together a good meal often is easier said than done. 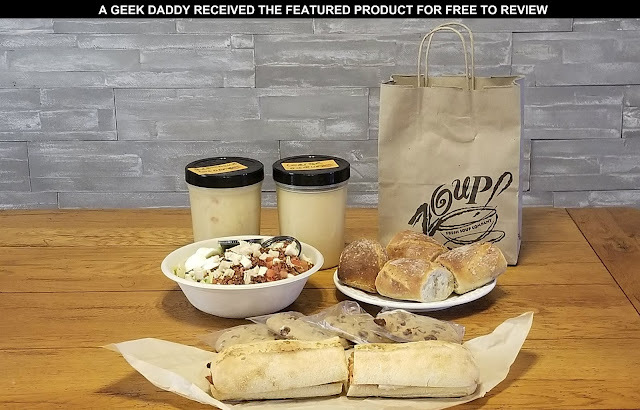 With that in mind, I was really excited to discover that one of my favorite restaurants, Zoup!, has just begun offering a convenient, carryout option for busy families. As the weather begins to turn brisk, fall becomes a great time to enjoy a bowl of soup. With its award-winning, gourmet soups such as Brewhouse Cheddar, Chicken Potpie, Lobster Bisque and Singapore Squash, Zoup! is always a great place to enjoy a bowl. There are 12 rotating daily varieties, including low-fat, low-cal, vegetarian, made with gluten-free ingredients and dairy-free options, all served with a hunk of freshly baked bread. Zoup! is more than just soup though! They also make tasty salads and sandwiches. Plus they recently introduced protein-packed Power Bowls to their menu which mix together nutrient-rich kale with other ingredients to create varieties like Chicken Caesar, Citrus Garbanzo, and Fiesta Chicken. Now it is possible to stop by a Zoup! location to carryout a Family Meal to bring home with you. Order and pay online so it is just a matter of popping into a restaurant near you to pickup your food. 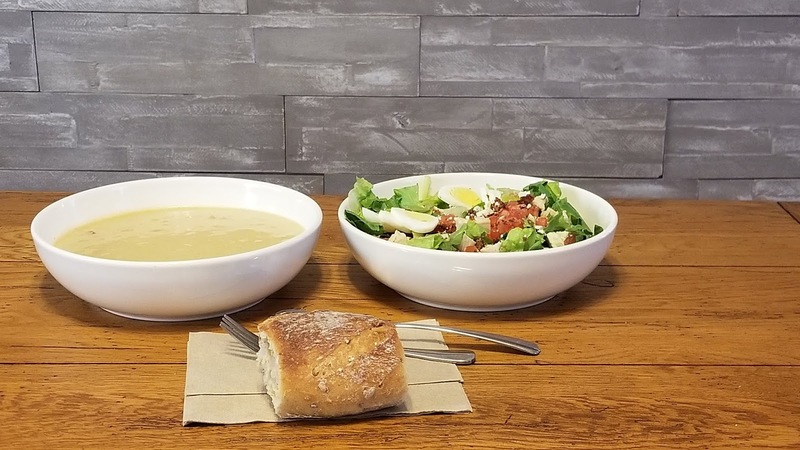 The Family Meal option combines delicious gourmet soup with the restaurant’s made-to-order salads, sandwiches and Power Bowls for a full, filling lunch or dinner that can feed anywhere from two to six hungry friends or family members. It was perfect for my family of four! 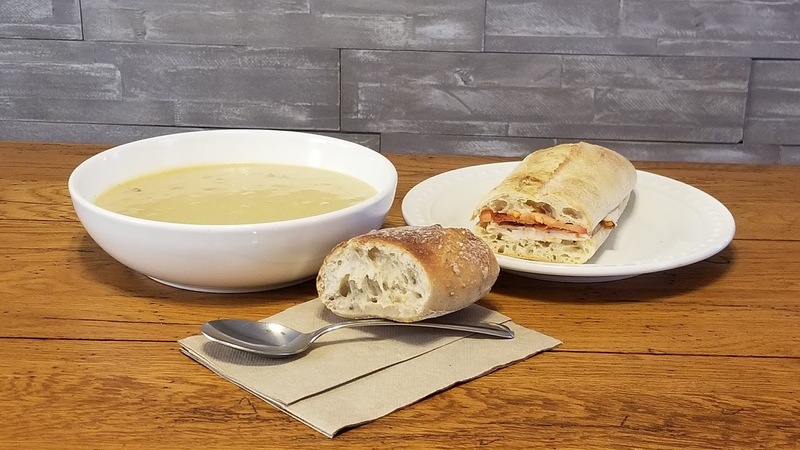 Included in the cost of the Family Meal are two quarts of the soup of your choice with four hunks of bread, your choice of either two whole salads, sandwiches or power bowls and eight mini cookies. We selected the beer cheese inspired Brewhouse Cheddar (which is a seasonal addition to the menu so get it while you can) and Lobster Bisque (this soup is do delicious that I will go out of my during my lunch hour to get some) for the Family Meal we picked up for this review. We also included in our Zoup Family Meal a full-sized Chicken & Bacon Cobb salad and a Turkey & Bacon Club sandwich. Oh! by the way … the chocolate chip cookies that came along with our meal where to die for! This Family Meal from Zoup! was so delicious that it absolutely earned A Geek Daddy nod of approval. It is nice how you can mix and match the items in the Family Meal to cater to different people's tastes. We were able to divvy up our Family Meal into soup and sandwich and soup and salad combos to make everyone happy. This meal filled up everyone's bellies and put smiles on their faces! The first Zoup! restaurant located in Southfield, Michigan opened in 1998. In fact, I remember going to eat there when it was a brand new place and have been going back ever since! Twenty years later there are now locations spread throughout seventeen states in the United States and Ontario, Canada. Visit zoup.com to find the closest location near you and to learn more about their menu. You can also follow the restaurant on Facebook, Instagram and Twitter.